On Saturday December 10th, voices will be heard in the town of Lenox Massachusetts. Abbott’s Limo is so excited about this event. Choirs and choral groups have been called upon from near to as far as a half days Sleigh or short Limo ride, to participate and compete in the first annual Lenox Caroling Festival. Six hours of holiday songs will be enjoyed under the stars all around the historic village of Lenox Massachusetts. A cash prize of $2000 will be awarded to the choral group that is judged the best. Smaller prizes for 2nd and 3rd places. 50% are to be judged by popular vote and 50% by a group of music professionals choreographed by festival director Dr. Andrea Goodman. Ballots will be avail in participating vendors and groups are encouraged to bring their friends and supporters. It all starts at 10am breaks for lunch, giving all time to eat in the pubs and restaurants, and continues till 4:30pm. At 6pm a Carolers’ Reception and sing-along will be held in Shakespeare & Company’s Bernstein Theater where winners will be announced and awards will be given. David Sedaris’ Santaland Diaries will follow the reception at 7:30. The Festival continues December 11th, with the 7th annual Gingerbread Contest hosted by the Lenox Memorial Library, where caroling has a long history. The Library, will feature large scale edible masterworks of Gingerbread, baked by the Berkshires finest chefs. The theme is “Storybook Houses,” the contest will run from 10am to 3pm. Those interested in the Berkshires Gilded Age, are invited to Ventfort Hall, a restored Cottage of Morgan Stanley property and museum of the period. Ventfort Hall is open from 10am to 5pm. 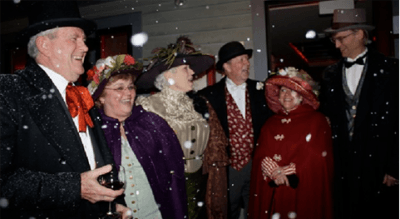 Although to me, caroling reminds me of groups of people dressed with shawls, dress coats and top hats, going door to door to neighbors front porches, it has a much richer history. It all started in the 800s and 900s, in monasteries that developed a series of rhyming patterns that eventually became a similar form of the Christmas Carols that we know today. Then thirteen century France, Germany and Italy and finally in1426 in England through the writings of John Awdlay. In the Viking age, wassailing, is an Old Norse term, used before Christianization of Scandinavia, that means caroling done while drinking and in revelry, and not in the spirit of reference to religion. The Pre-Christian celebration of the festival of the Yule, also was more of a joining together by northern Europeans for sing and dancing to honor the winter solstice or harvest. Today carols are still beloved and still represent the essence of Christmas. They are able to be enjoyed religiously or secularly, which can be attributed to their catchy tunes and lyrical compositions. So Come One Come all to, Deck the Halls, on not such a Silent Night, to Lenox ma. Where we will all can dance and sing Joy to the World. Give the gift of giving and enjoy the Cheer and Hospitality that will be displayed throughout Lenox by the dedicated community members and businesses. Now that’s the Spirit! 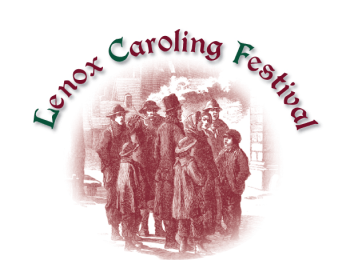 For those interested in attending the Lenox Caroling Festival, further information on the festival as well as special promotions by Lenox inns restaurants, retailers. Abbott’s Limousine can also be found amongst all the other great businesses on the festival website. Really wish I was there for the Lenox event. there are certain things that I miss in the Berkshires, there really is a winter wonderland. Have an awesome time everyone!